Its been a while since the last wine review here on Drinking it all in. So to make up for it, in this post I’ve reviewed not one, but three different bottles and talked about other wines as well! Not so often do I get visitors here in Bordeaux, but this past week my mum came to stay. Her trip was a Christmas present from me and my siblings, plus I’d booked her onto a wine tour. It was the Châteaux et Terroirs tour organised by the Office de Tourisme de Bordeaux. Each day they visit different wine regions and as she went on a Monday my mum went to Bourg and Blaye. 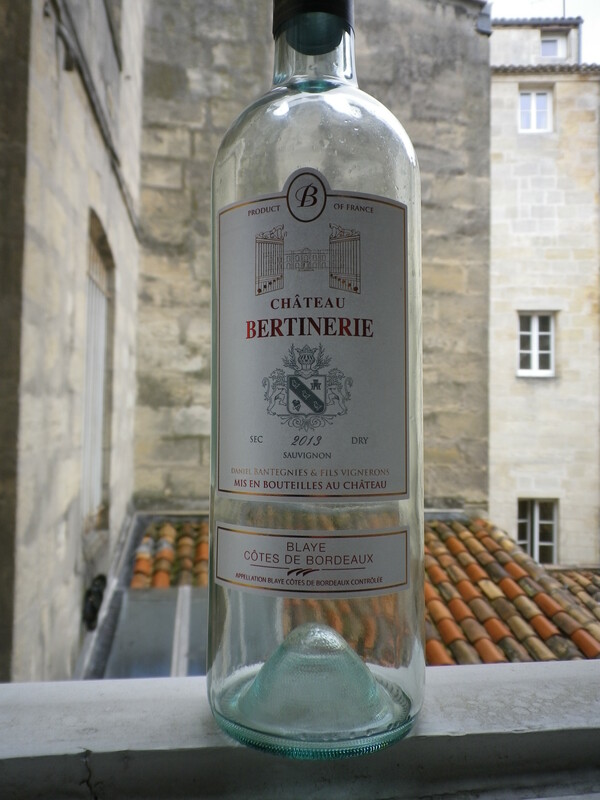 The wines produced in Bourg and Blaye, known as Côtes de Bordeaux wines have become my go-to regions when choosing a ‘nice’ bottle; by that I mean something a bit more special than Château Mouchac-La Rame, my trusted everyday cheap wine. I first tried a Côtes de Bordeaux when I went to La Comtesse, one of Bordeaux’s down-to-earth wine bars. I was there with an immaculate Bordelaise girl, who advised me to take a glass of the Côtes de Bourg or Blaye. Her uncle owns a vineyard and she seemed to have a natural intuition for knowing what I liked. Sadly she has slipped away but the recommendation of the Côtes de Bordeaux was sound advice that I can keep. Since then I’ve always sought them out, and sticking to earlier advice from another French girl (this one from Île-de-France) I’ve tried to find bottles from 2009 because she’d told me that was a very good year. 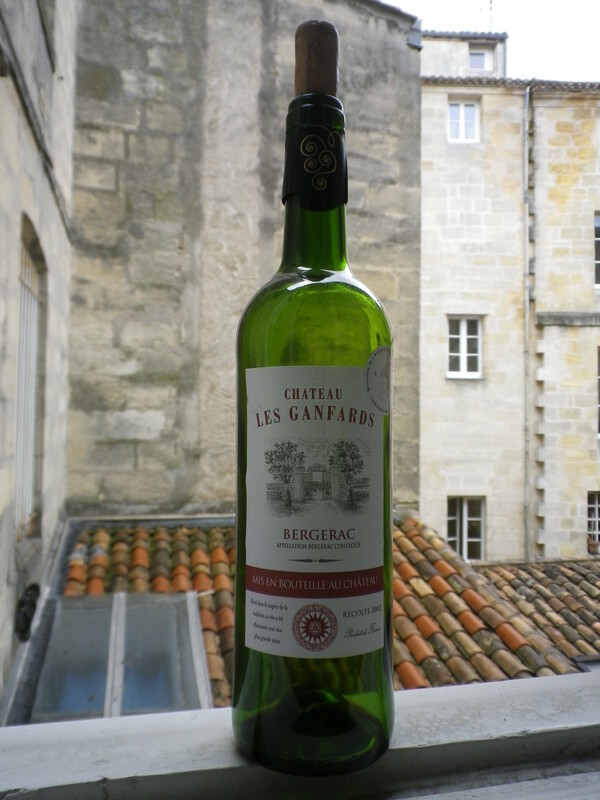 On one of the last occasions I spent with the young Bordelaise lady, we’d drunk a bottle of Chateau Les Ganfards 2012 Bergerac. Yes, this purchase broke both the above mentioned rules but we just blindly picked it, trusting luck, wanting to get outside and profit from the first spring rays of evening sunshine. The first night my mum arrived I cooked faux-filet steaks with sautéed onions, spiced potato wedges and oven baked tomatoes. We washed it all down with a bottle of Château Haut Gravier 2009 Côtes de Bourg, which I’d bought from Auchan for just over €5. 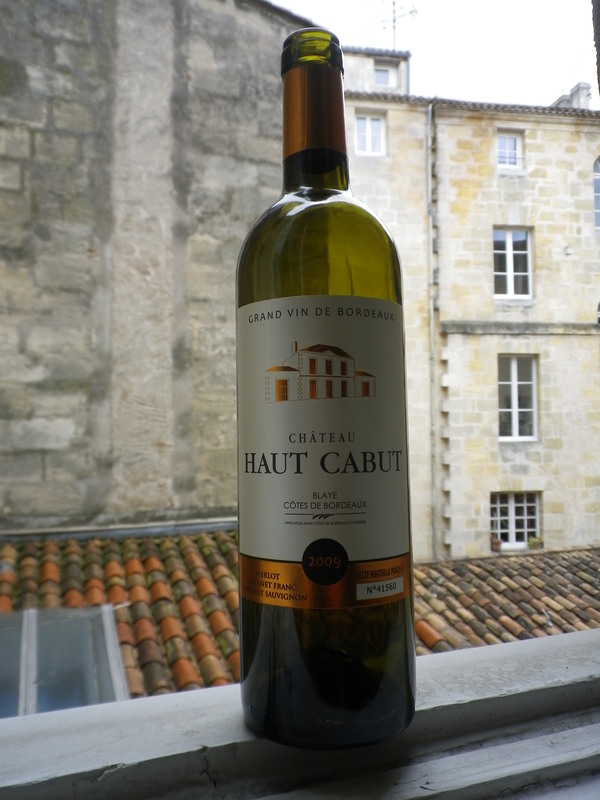 On her wine tour my mum bought a white from the Blaye vineyard she visited, because she often prefers white to red. 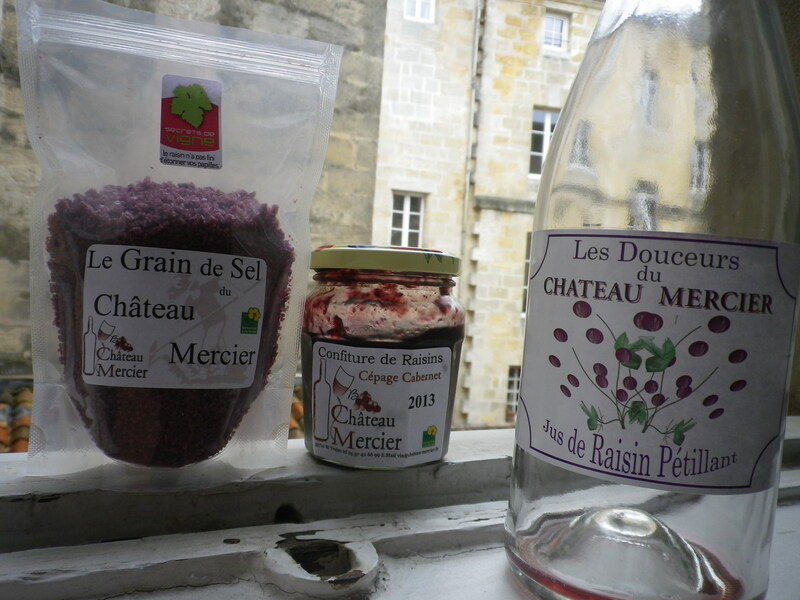 Then in Bourg she bought a grape jam, grape salt and sparkling grape juice because their wine was “not to [her] taste”. I tried the grape juice, it was delicious, strong and full. A different, more natural monster to KA Black Grape juice: my soda of preference when I lived in London. But I was still keen to prove to my mum how nice the Côtes reds could be and swore to myself we’d drink a special one before she left. 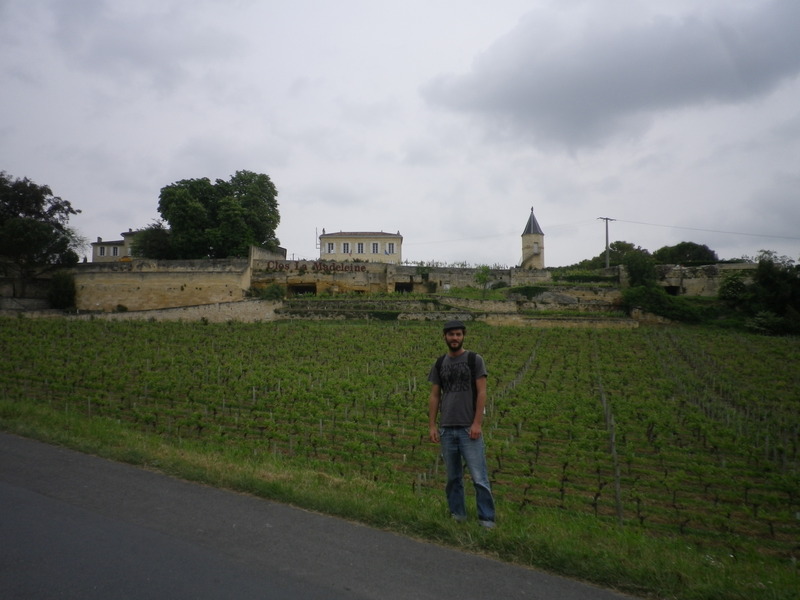 The next day, mum and I went to Saint-Émilion and visited the ‘Clos la Madeleine’ château. I learnt that clos means enclosed and this producer took that name because they had a small vineyard that was surrounded by brick walls. 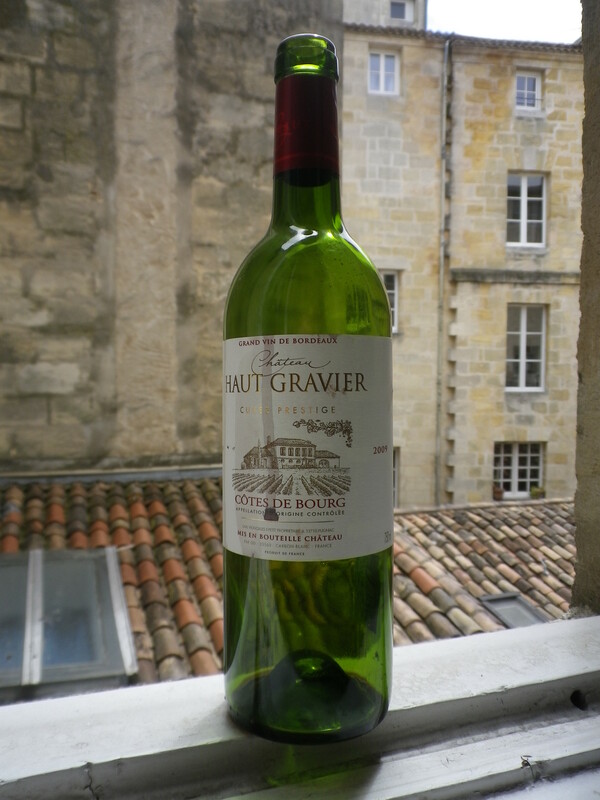 We tried a Saint-Émilion ‘normal’ a ‘Cru’ and a ‘Grand Cru’. The first was incredibly bland **. The second not quite as boring but missing something *** and the third very similar to the second ***. The third was being sold at €38 for a 75ml bottle and the second €16.50 a bottle. As a souvenir my mum decided to buy a bit of wood with the château’s logo branded on it. The French family on the visit bought a magnum and two 75ml bottles of the Grand Cru 2007. This lead me to thinking, maybe it is the English taste that requires the fuller flavour. Have we as a nation pushed our taste buds to the limit by ceaselessly eating spicy food? It does seem as though we appreciate the powerful flavours that we can grasp instantly and don’t have the patience to appreciate the subtle hints of flavour that we are told suit the connoisseur due to their complexity and elusiveness. Here is a moody photo of me in front of the Clos La Madeleine vineyard. It was the last night of my mum’s stay when I bought THE BEST BOTTLE OF WINE I HAVE EVER DRUNK! Who needs the châteaux of Saint-Émilion? I found this masterpiece in Carrefour Victor Hugo (The Carrefour City near my apartment doesn’t stock it, as I found out after drinking two glasses and flipping out and being like “I’m gunna stock up on this right now” and rushing out with just my wallet and keys). It cost exactly €5.50 and it hit both of my categories: ‘2009’ + ‘Côtes de Bordeaux’. When I opened the bottle my mum remarked on the smell. It was pungent. Straight away I could tell it was, again, very fruity. The first taste was very pleasing but you can never judge a wine after one sip. After two glasses however I was convinced it was the best wine ever. It was then I properly checked the labels. It didn’t have the percentage on the front so I hadn’t noticed this when I’d bought it, but turned out its was 15 percent! Maybe this was why I liked it so much. Who knows? Maybe that is some Englishness again. Mum finally concurred, this was a top notch breed. 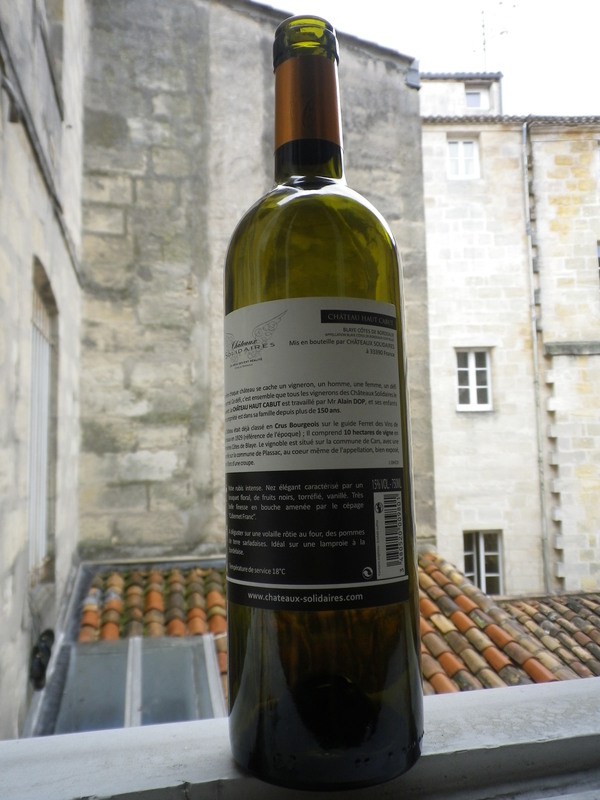 Tags: blaye, Bordeaux, bourg, cotes de bordeaux, st emilion, wine. Bookmark the permalink. Great post. I was checking continuously this bllog and I am impressed! Very helpful information specially the ultimate part 🙂 I take care of such information a lot.